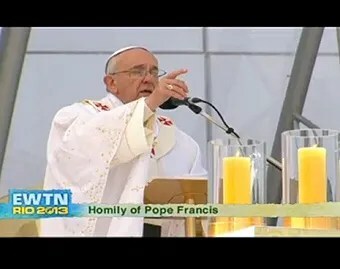 Pope Francis gives the homily during the closing Mass of WYD, July 28, 2013. Credit: EWTN. Christians are called to be disciples of Jesus with a mission, going out from their small circles to make disciples of all nations, Pope Francis taught today during the closing Mass of World Youth Day. “Jesus is speaking to each one of us, saying: ‘It was wonderful to take part in World Youth Day, to live the faith together with young people from the four corners of the earth, but now you must go, now you must pass on this experience to others,’” Pope Francis told the crowd of pilgrims on Rio de Janeiro’s Copacabana beach July 28 during his homily for the Mass for the Evangelization of Peoples. The first need for evangelization is to “go,” Pope Francis taught. “During these days here in Rio, you have been able to enjoy the wonderful experience of meeting Jesus … and you have sensed the joy of faith,” he reflected with the pilgrims. 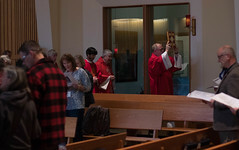 When faith stays “locked up” within a small Christian community, it is “like withholding oxygen from a flame that was burning strongly,” Pope Francis preached. “Jesus did not say: ‘if you would like to, if you have the time’,” the Bishop of Rome admonished his fellow pilgrims. The command to evangelize, to make disciples of all nations, is not optional, not conditional. The Church is meant to evangelize all persons, Pope Francis taught, saying there are “no borders, no limits” to where Christians are sent to evangelize. Pope Francis’ second point about evangelization was “do not be afraid.” Being a Christian does not require “particular preparation,” he said, but a realization that Christ accompanies us. 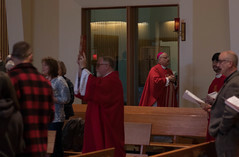 Not only is Christ with us when we go on mission, but the Church and the communion of saints accompany us as well, because “we are sent together,” the Pope reminded the pilgrims. The three marks of evangelization, going, being unafraid, and serving, will end up evangelizing the evangelist, the Pope assured the young pilgrims. “Jesus Christ is counting on you! The Church is counting on you! The Pope is counting on you,” he told them.